The Pure Health® Mattress has two air chambers that can be independently adjusted from "pillow-soft" to "extra firm" to suit the individual preference of each sleeper. Constructed of vulcanized rubber, the chambers are extremely durable. 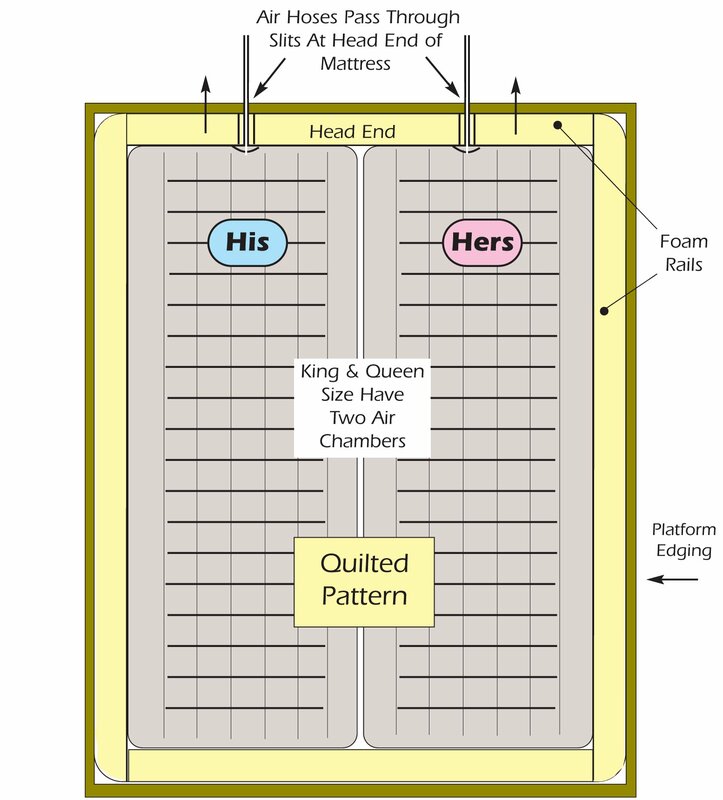 The configuration of the baffles forms a quilted pattern that keeps the overall surface of the bed nice and flat, and is the best configuration for sleeping comfort. (The Sleep Number® Mattress has air chamber compartments that run across the mattress from left to right in a "washboard" pattern.) Would you like to sleep on a washboard?